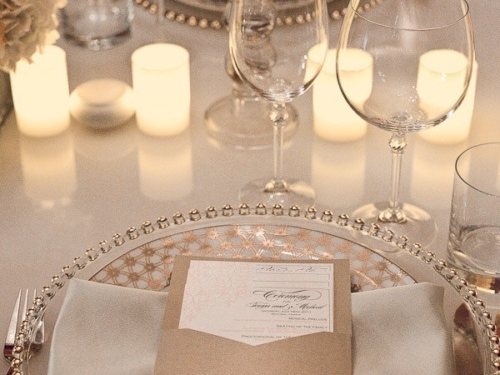 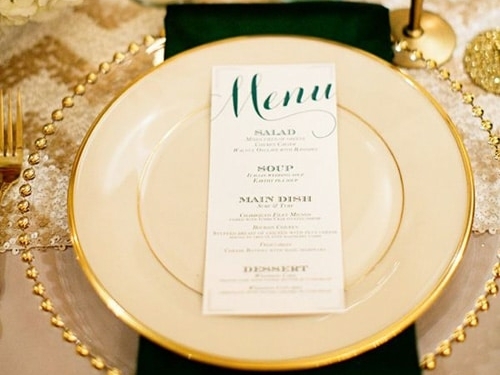 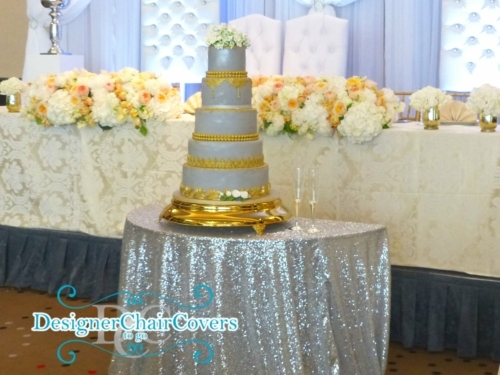 The top table is the main focus for the night at all social gatherings so it is paramount that it is decorated to reflect the event or wedding theme. 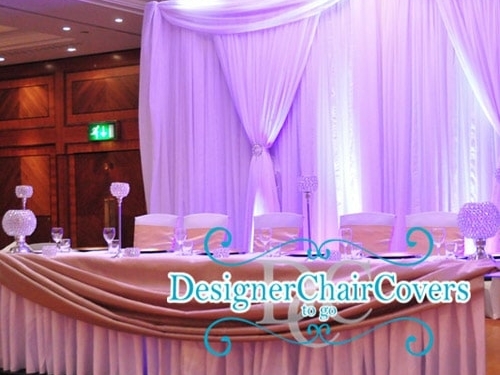 With our event styling service we can provide top table and cake table decorations which can include coloured swags and drapes that compliment the details for a wedding or event colour scheme. 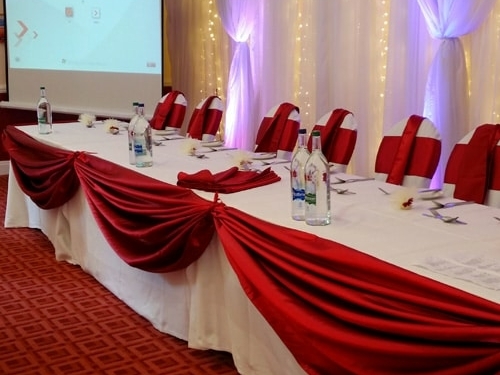 Typically we tend to match our table swags to chair cover sashes or alternatively we may even add another themed colour to tie in both colour choices that you may be trying to achieve. 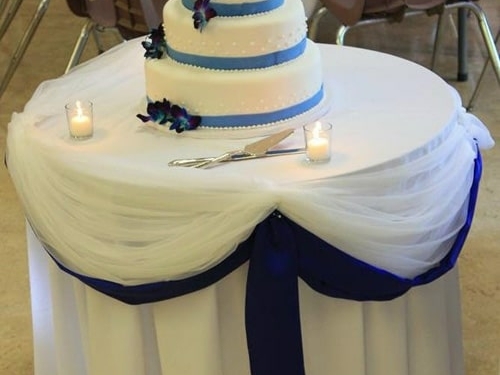 We also supply starlight backdrops for both the cake table and top table for your events which really do make dramtic and beautiful changes. 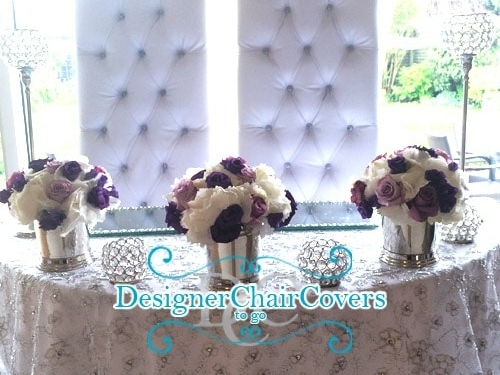 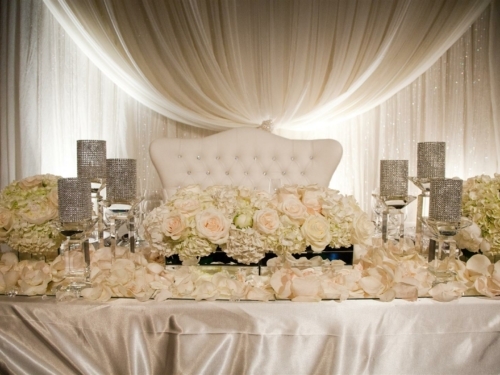 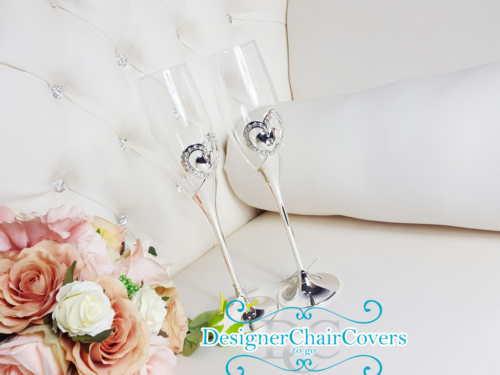 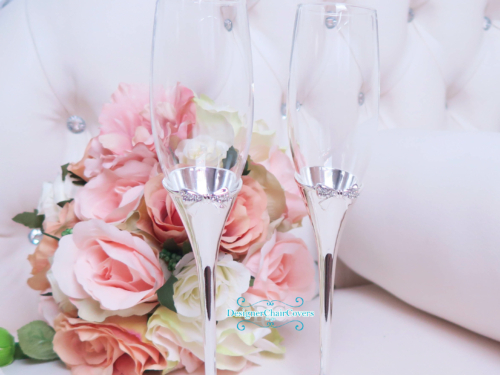 We can also add coloured rose petals or table gems for some added sparkle and delight.